Experiment with photos, hyperlinks, fonts, text sizes, colors, etc. 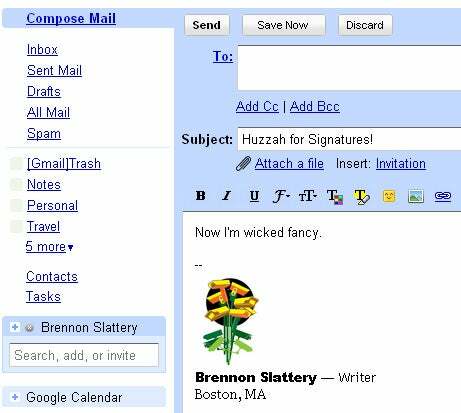 If you have multiple Gmail accounts, you can customize signatures for each individual account -- the ideal way to separate business and pleasure. To find out more about combining your Gmail addresses, check out Google's help page. Road warriors beware: rich text signatures are currently not supported in the mobile version of Gmail. You'll have to connect with the latest desktop version of Gmail. Also, older versions and the HTML version of Gmail are also not supported. Of course, you can always suggest it.